Have I ever mentioned how much I have lusted after this multipurpose bowl from uncommongoods? I had been trying to talk myself into its hefty pricetag, and never could quite do it. This year, as I compiled my "wish list," I noticed the bowl had been discontinued and would be unavailable once they were sold out. That's when I went a little nuts and decided I had to have it. I waited only semi-patiently as I tracked it online and waited for it to arrive. I was envisioning all the things I could do with such a splendid bowl. The new replacement bowl arrived this morning. And again, as I unwrapped it, my hopes were dashed. Do these even look like the same product to you? Are you singing "one of these things is not like the other" in your head, too? The one on the left is what I wanted. But it has a crack in the bottom that makes me question its ability to hold punch. 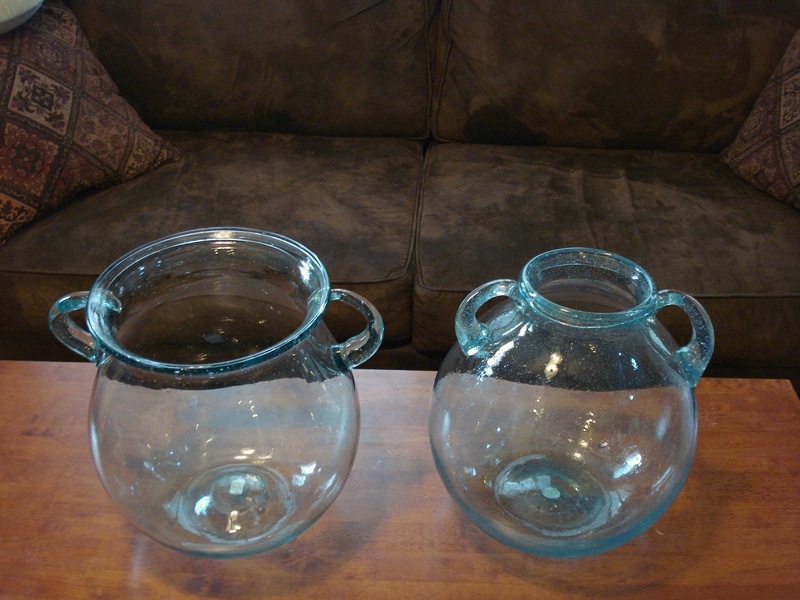 (I intended this to be a punch bowl) The one on the right is the replacement. And... well, I can't even get a ladle in the top. The opening is so small in relation to the size of the entire bowl! You see it too, right? It's not just me? So now I have two bowls on my kitchen table, four rather gigantic boxes taking up what little walking space I had in my garage and enough bubble wrap to ensconce a 400 lb. man. Defeat! ... I guess doing all your shopping online does have its drawbacks. Like when you order a package, wait and wait... and wait some more, until the post office says "it's delivered!" Yet you don't get it? Yes. That is also going on. Turns out the company sent it to some random person in Cambridge, MA. Random address. Random person. Not me. So trying to get everyone to figure this out, fix it, and then get my stuff? HA! I am labeling this day as FRUSTRATING. ... now let's see how the girls do at Target shopping for their own presents. (I hope they don't insist on purchasing pink hair bows for Uncle Trent or something) I am giving them pretty much free reign. They are so excited about getting a sleigh load of presents. I am working on balancing them out with excitement for GIVING presents to... you know... OTHERS. Good idea, yes? They even get to WRAP these presents THEMSELVES. (glee) This will either lead to a psycho mommy who can't let a mess of wrapping paper and tape go under the tree, or a complete meltdown by the twins- or any known or unknown reason.